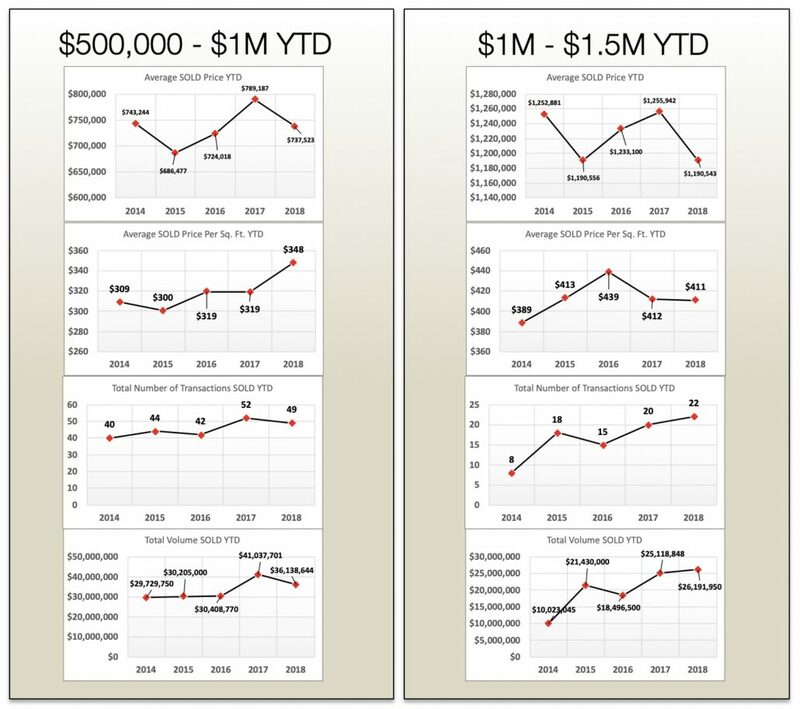 The Crested Butte Real Estate Market has seen nearly six years of steady growth in volume and transactions. Through October 2018 YTD shows the transactions are up but volume is slightly behind 2017 YTD. This is due to more lots being sold and fewer single-family homes being sold. The Avg. Sold price for Single Family and Luxury Single Family Homes is less than the same period in 2017. The national economy is strong. The Dow is above 25,000, the Saudis are proposing they will be reducing exports to US to boost crude prices, mid-term elections are behind us, and EPIC Pass skiers are coming. There is more than the normal excitement for the upcoming winter ski season with Vail at the helm. The large North Village land is Under Contract for $8.9M, and the 176 Acre Gold Link / Painter Boy / Prospect Parcel is being pursued at $12M. The lifts spin on Wednesday Nov. 21st. The Red Lady and Paradise lifts will be open. This year will be very interesting because we will see many of the EPIC pass visitors come for the first time. Or the first time in a long-time. In general, we see better value in the Crested Butte Real Estate vs. other ski areas. Breckenridge is 1.5X-2X+, Telluride 2X+, Steamboat 2X, Vail 4X-5X+, Aspen 5X-7X+ for “similar homes and location”. (i.e. : house in town, home with skier access, base area condo, home in golf course development…. etc. And there are more people which equals longer lift lines. In the Summer in other areas there are more people on trails, and fly fisherman in river. Throughout the year other areas see longer wait to get a table at restaurant… And many of the other areas don’t have as close access to National Forest and trails – so more driving to crowded parking lot…etc. so the experience is not as “good”. Yes, I am biased! This is also appealing to many, and contributes to the charm and character of Crested Butte. Thus, reality is Crested Butte does not have the same level of comfort, glitz and glamour and high-end amenities that some very affluent may desire. There are less choices in shopping, spas and membership clubs. 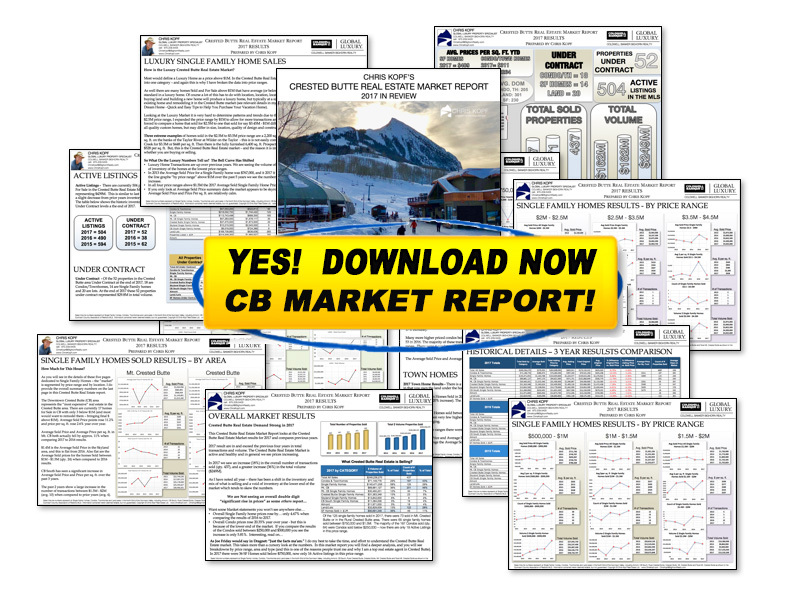 click here to download Crested Butte Real Estate Market Report Nov 2018 and subscribe to my FREE Monthly Newsletter to get more information on this and many other topics. 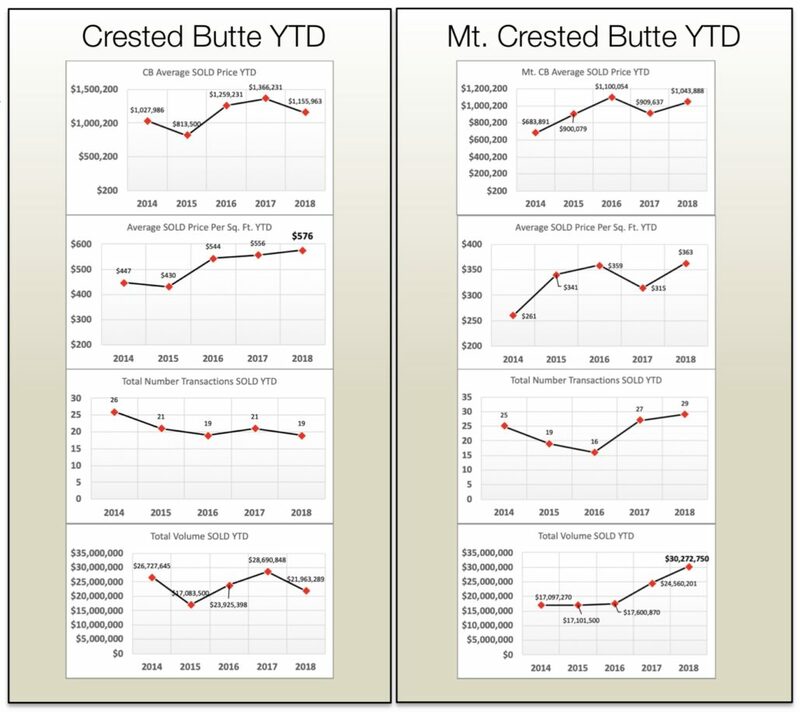 How is the Crested Butte Real Estate Market Doing? 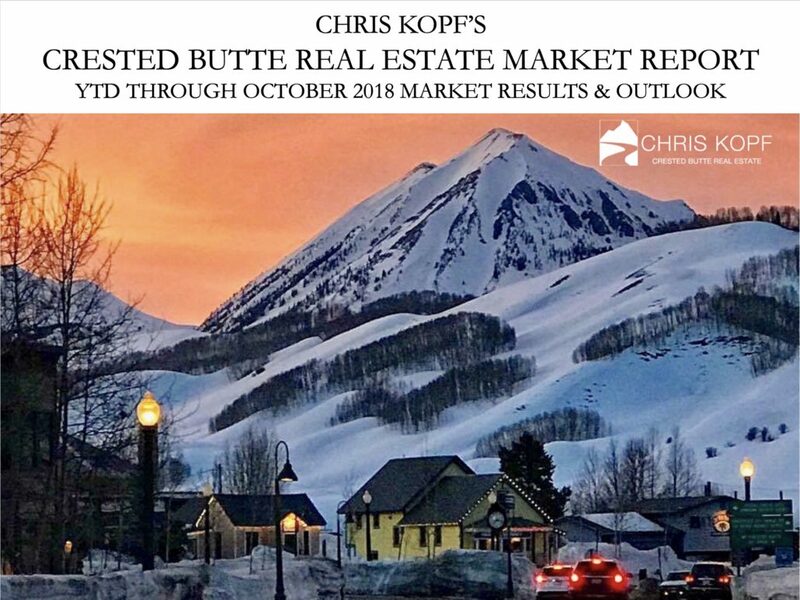 – Receive the Full Crested Butte Real Estate Market Report – pages of detail and insight into the Crested Butte Real Estate market. 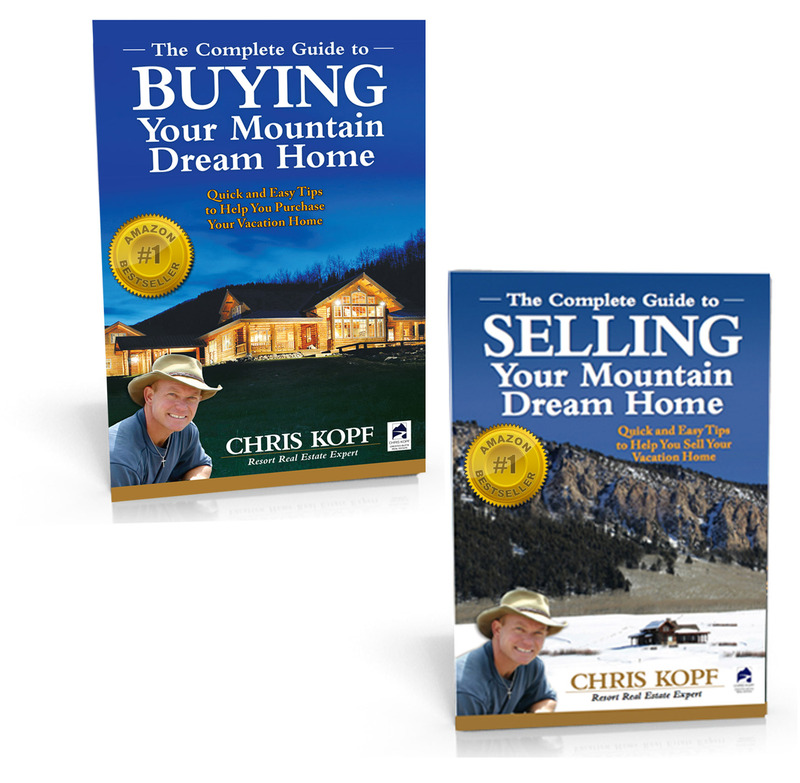 You will get my FREE Monthly Newsletter emailed to you with the Crested Butte Real Estate Market Reports! 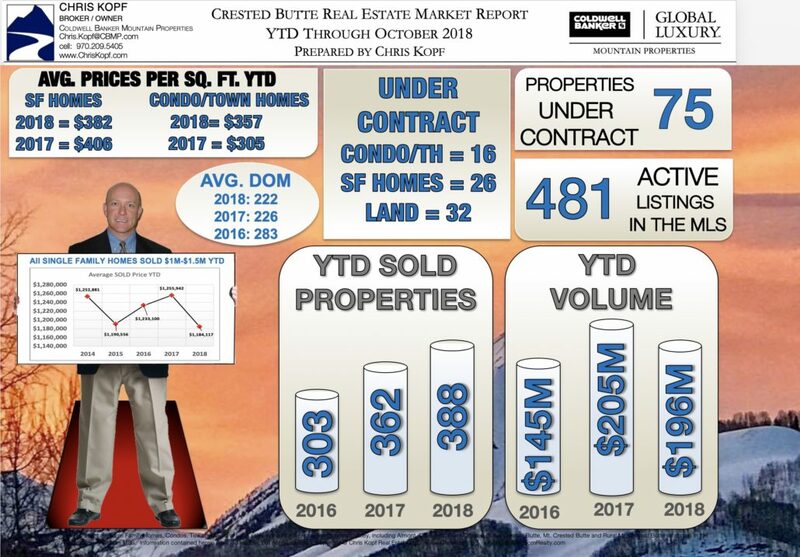 This 2018 YTD Crested Butte Real Estate Market Report and the level of detail is representative of what you can expect from me as your Real Estate Agent. 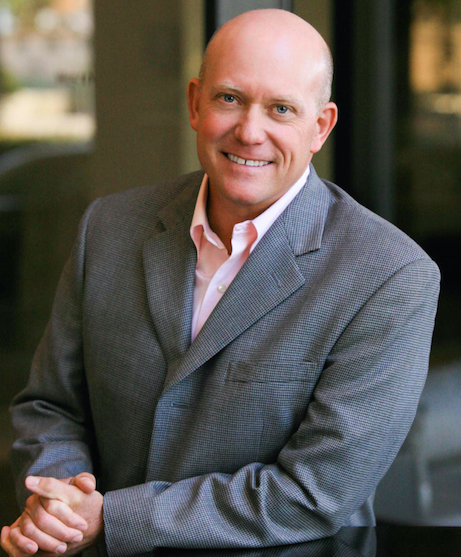 I have consistently been among the Top Real estate agents in Crested Butte, and I strive to exceed client expectations.